Black high impact ABS triple train horn on flat rack mount. Three tuned trumpets. 17.5″, 14.5″ and 11.5″. High Impact ABS. Trumpets can be separated from the mounting brackets for installation in vehicles that could not otherwise fit full sized train horns. 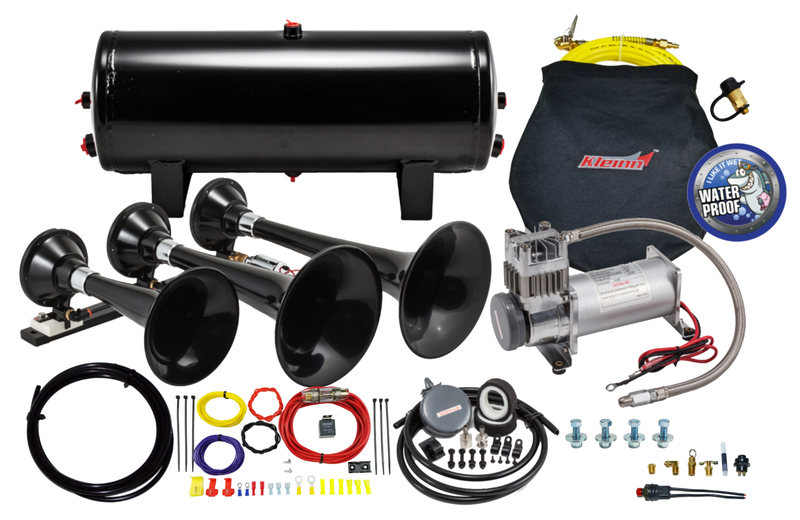 The kit includes a full onboard air system with 100% duty WATERPROOF air compressor, 3 gallon tank and tire inflation kit with storage bag. 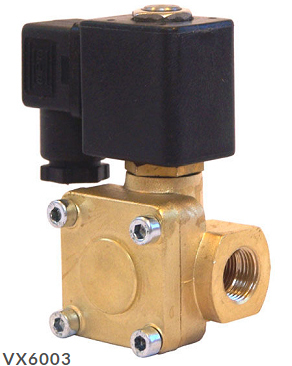 The Model 230 train horn now includes a Vortex 6 all-brass high flow solenoid air valve. Want it LOUDER? Add the Ultra Blastmaster Valve Upgrade kit (P/N 6890). The upgrade kit includes an additional two Vortex 6 all-brass air valves, 1/2″ airline and 1/2″ fittings.